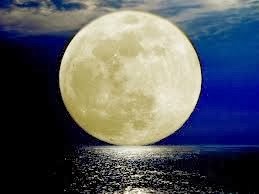 The Full Moon is Monday, September 8 at 7:38 PM MDT. Celebrate a change in your life. Even if it is a challenging one and you are struggling with accepting it, celebrate it anyway. This is a time to embrace change and use its power to expand yourself into new territory. It is also a good day to anchor the beginning of a new project, a routine or a relationship, OR the beginning of a new phase in a project, routine or relationship. Celebrate it. This full moon is also good for supporting any commitment you make for change this month. If you have contemplated something in your life that you are intending to change, your committed intention can be supported by this full moon. Take a baby step towards your goal during this time. Harvest Moon in her full, water-earth ripeness reflects all the rich gifts of summer here in the northern hemisphere – the squash, the beans, the late fruits hang heavy with invitation to share Virgo’s abundance here on earth. A feminine Pisces Full Moon draws us into oneness and compassion, sensitizes us to the subtle realms of feeling and being while dissolving any separation from our own true nature. Surrender is the portal to the garden. Chiron is conjunct the Moon, so our journey carries the distinction of healing the wounds carried in our emotional-spiritual bodies and also of becoming that force that bridges the physical and the cosmic levels. Chiron sits between Saturn and the higher frequency planets of Uranus, Neptune and Pluto. He is the link between the collective mind and the galactic energies in the great beyond (discovered in 1977 inviting us to become more receptive to these energies). Chiron was a centaur, and as a healer and teacher, he taught shamanic knowledge of how to heal at the energetic and cellular levels and how to cure with the plant kingdom, the stone people and with animal allies. Chiron emphasizes the holistic integration of body-mind-spirit and sends the seeker within to become his own authority and source of truth. 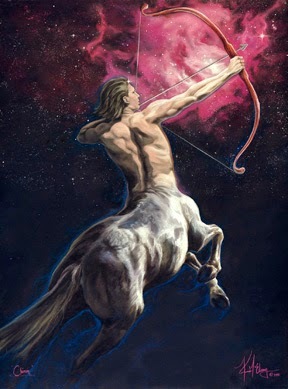 Is it a coincidence that when Chiron was released by Jupiter from his immortality and he was transformed into the centaur constellation, Sagittarius, that his arrow pointed to 27º Sagittarius – the exact center of the galaxy? Further blessings in this Full Moon chart come from the Full Moon/Chiron being one point of a Grand Trine in water with Vesta 16º and Juno 16º. 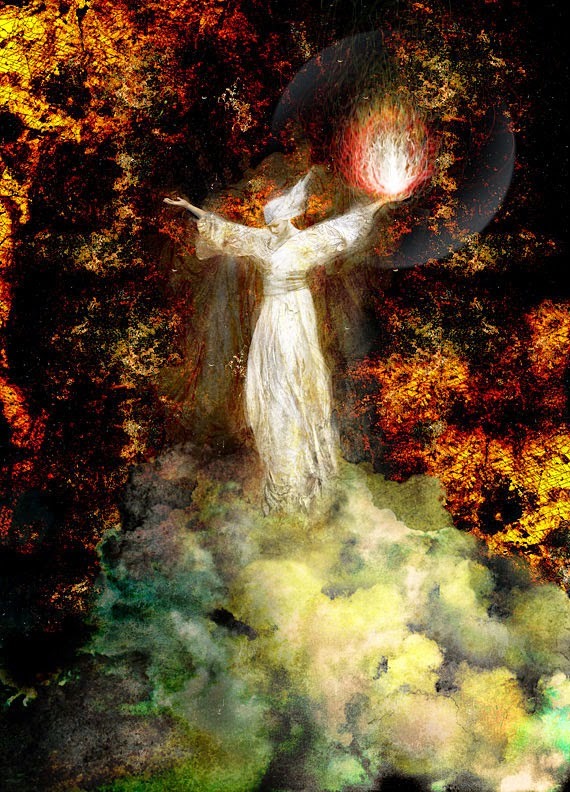 Vesta is our inner spiritual fire that we focus and dedicate first and foremost to our own inner work, sublimating the heat of kundalini energy to discovering our selves at our deepest core, resting in our powerful connection to Spirit. Vesta is where we renew ourselves when we go within to our sacred temple and find meaning beyond the traditional spiritual values we have been taught. Vesta carries the broad continuum of sexual energies from denial/fears to total freedom/expression. Vesta is where we take our precious energy and focus, commit, dedicate, devote ourselves to work, to a vision, a worthy goal. Vesta is that aspect of ourselves that we hold sacred. Juno forming the third leg of the Grand Trine holds our ‘capacity for meaningful relationship’. She holds the feminine need for intimacy and deep connection and in the traditional archetypes, when these needs are not respected, she grieves and rails against the dashing of her hopes and dreams for shared, equal partnership. She is the champion of the powerless. Juno points us toward creating new expressions of intimacy, based on truth, equality, and union with another. This Grand Trine with Moon/Chiron, Juno and Vesta, empowers the reemergence of our feminine consciousness. Let Chiron help release anything you have created in fear and still carry, and recreate your life with the help of the feminine expression of the asteroids so generously gifted with ease and grace here at Full Moon. It’s a full service chart. If ease and grace is not the most frequented vibration in your life right now maybe you’re feeling some of the dynamic high tension of the multiple squares created by the long collective squeeze created by Uranus/Pluto and now joined by Juno and Mercury. There might be some major house cleaning in your relationship department. The truth needs to be spoken. Remember that ‘the truth will set you free’ thing? Well, it definitely applies at this time. 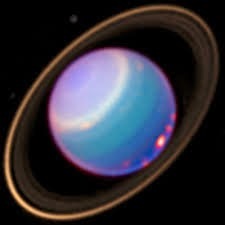 Uranus who is an ally for making huge change is at the apex of a Finger of God aspect …..adding just that blast of disruption, reform and inspiration necessary to create movement if you are ready for an influx of powerful new energy in your life. 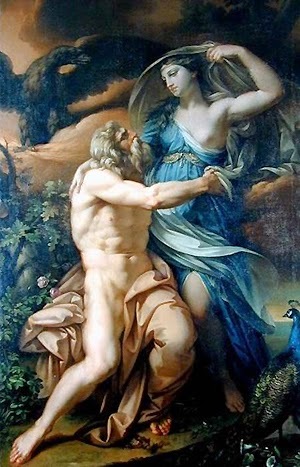 Neptune, ruler of Pisces, is opposite Venus. As quick moving Venus sees her reflection in Neptune, Pluto and Chiron between Sept. 10-17, we have an opportunity to deeply love and forgive ourselves. Valuing yourself as the son or daughter of Spirit is a very good practice (Inner smile) and is the prelude to moving into higher centered consciousness. Our other fleet-footed messenger, Mercury, will be triggering the Uranus/Pluto square between Sept. 9-13 putting us in touch with communicating our deepest truth. We are speeding along to Equinox now on September 22. Change is in the air on so many fronts. But one thing is for sure, Love is all there is.